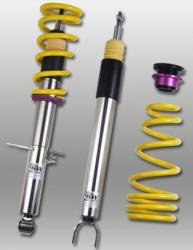 Description: KW Suspension Coilover Kit Variant 2 for the 04-06 Scion xA / xB 15258001. Security on many levels: During manufacturing of KW Coilover suspensions, the highest quality materials are used to produce individual suspension solutions. 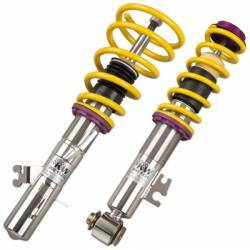 Description: KW Suspension Variant 3 Coilovers for the 08-14 Scion xD 35258003. State-of-the-art technology from motor sports for more performance on the road. The separate and independently adjustable rebound- and compression damping for setup.